The January 2019 Flyer of Specials is Here! 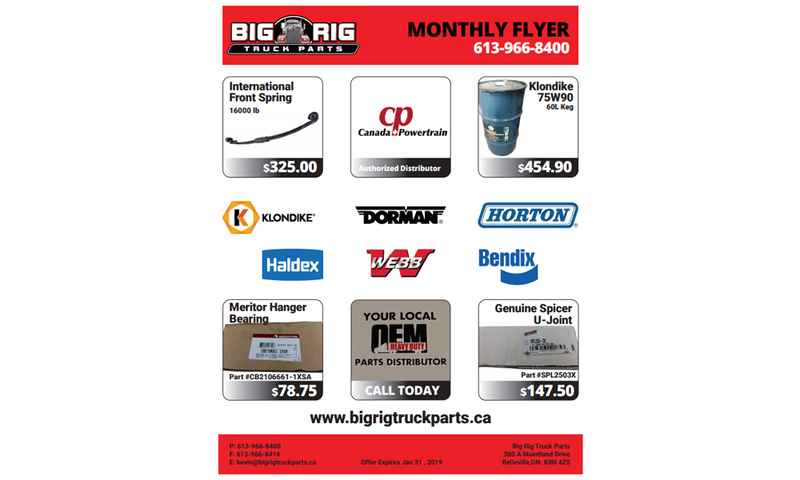 The Monthly Flyer features International Springs, Hanger Bearings and U-Joints. We also carry all Klondike engine oil and lubricants.